John Simcox Holmes set out to understand the connection between clear-cut logging and flooding on his farm. Along the way, he gave trees a voice and helped save the state’s forests. John Simcox Holmes sits at a desk in his room in the Swannanoa Hotel in Asheville. It is 1909, he is 41 years old, and his life is just beginning. In a month, John will no longer be living in this hotel. He and Emilie will be married and they will be starting a life together in Chapel Hill. But tonight, John is here, thinking about wedding gifts. And the moon. John — the state’s first, and at the time only, forester employed by the state — might also be thinking about how he never would have predicted he would be here: A decade ago, he was not far from this hotel, farming the long stretches of his family’s land in Bowman’s Bluff, along the French Broad River. He had been working that land as his career since he was 20, growing anything he could among the Welsh immigrants with whom his family had settled when he was a boy. He was a farmer and a farmer he expected to be until he died. But after 14 years of farming his family’s land in Henderson County, he grew weary. Not weary of the work, but weary of the rising waters — of the unpredictable creeks and rivers that jumped their banks to ruin all of his work. He knew enough to know that the clear-cutting and burning of forests nearby had thrown everything out of whack. And so it was the floods that sent John into the woods and, later, around the world. John was 34 years old when he took a position as a student assistant with the U.S. Bureau of Forestry in 1902. He was shipped off to Texas, where he begins earned $25 a month camping in swamplands and analyzing recently cut longleaf pine stumps. Then, he went everywhere — to New Mexico, Arizona, Kentucky, Mississippi, and eventually to Switzerland, France, and Germany. He shook hands with President Theodore Roosevelt in Washington, D.C., and later entered Yale’s School of Forestry as part of its third class. In 1909, John returned to North Carolina. Now he is the lone forester in a state losing large swaths of forests to wildfires and logging. He wanders through the mountains, county by county, compiling information about fires and floods, and conducting interviews with landowners and lumbermen. He was out to get the lay of the land — to understand how to save these vanishing forests. But the truth is that there is no glamour in this post. Hardly anyone in the whole of the state knows what a forester is in 1909. When he speaks to people about the forests, he most often encounters annoyance or indifference at his barrage of questions, at what seems like meddling in private affairs. To most people, trees are a crop to harvest — a valuable crop they didn’t even have to plant. Timbering practices consist mostly of clearing a mountain and moving on. 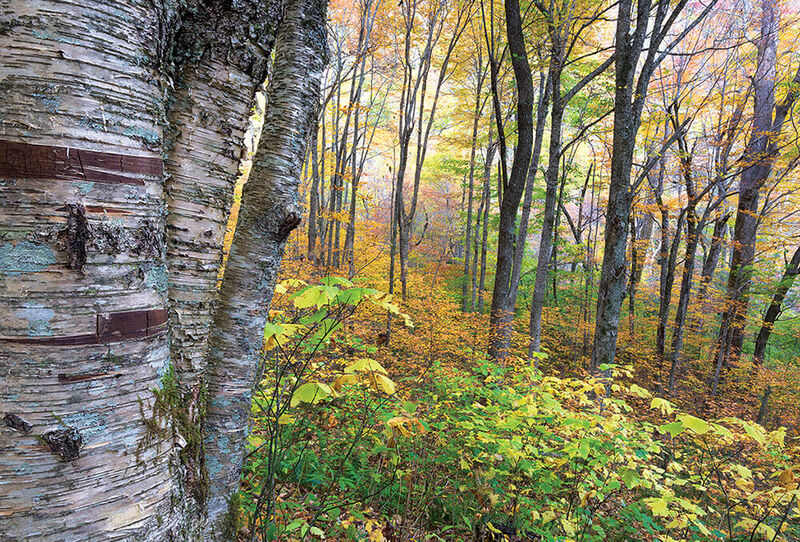 By the 1900s, hardly any virgin forest remains in western North Carolina. John understands that much of trees’ value lies in their hardwood — in the chairs and houses and fences they become. But he also knows that trees hold the land together and keep the air and water clean. He understands that whatever is taken away must also be returned. John makes it his mission to help every person in the state spot the difference between the eastern hemlock and the Carolina hemlock. He wants lumbermen and politicians and schoolchildren and farmers to see each individual tree in a forest, to touch its bark, notice its leaves. This intimate knowledge, he believes, will have more effect than any policy. By 1915, John is in charge. North Carolina has officially created a forest service and named him state forester and state forest warden. He has been tasked with slowing the destruction of the forests, but he has been given no budget to do the work. “Everybody is talking trees now,” writes the principal of Hemenway Public School in a letter to John in 1918 after John’s visit with 600 students there. In his office in the middle of the state, John must feel delighted when he receives this note, nine years after being ignored while he traveled through the forests, asking questions and talking trees. 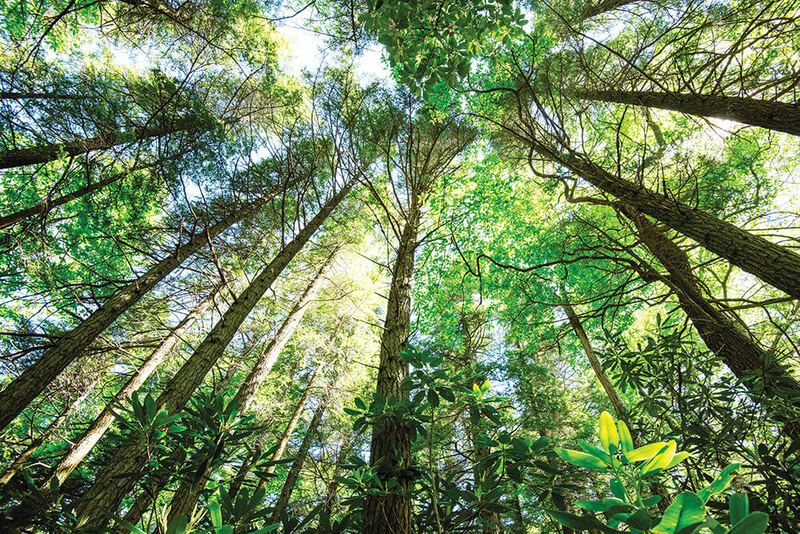 Four years later, he writes Common Forest Trees of North Carolina, How to Know Them, a handbook of sketches and characteristics of more than 70 native trees. Each tree takes up only a page, outlined with quick, clear, and occasionally poetic descriptions, and he prints the book small enough to fit in a pocket as someone steps into the forest, a handheld guide to meet each individual tree where it stands. With his book in hand, John can be found in schools and lecture halls as often as he can be found in the woods or in his office in the middle of the state. He visits libraries to teach tree identification, he pens op-eds about the importance of conservation, he writes advice columns about the best way to get rid of pine beetles. And he fights many political battles — demanding a budget for fire wardens, protecting Mount Mitchell as a state park before it can be timbered, and establishing nurseries across the state to regrow what has been lost. The list of his successes is long, but perhaps most telling of his legacy is the continued printing of his little pocket-size book. For 95 years now, people all across this state have been carrying John’s words into the woods to meet the trees. 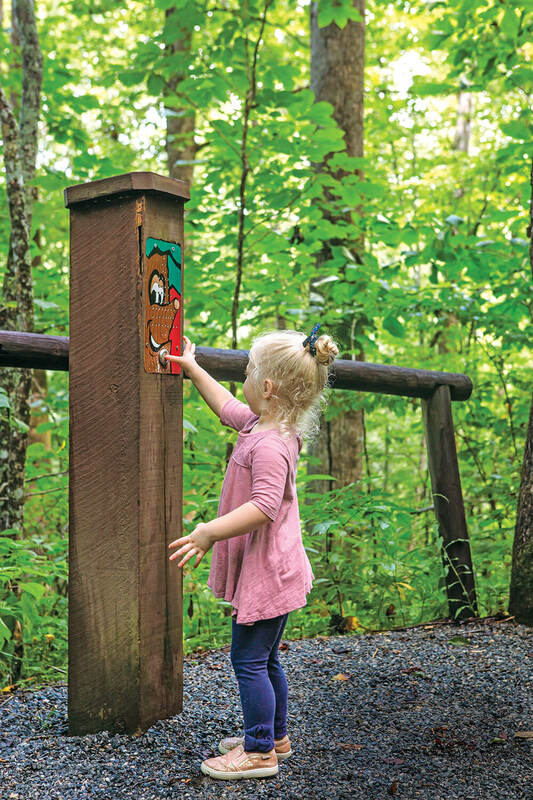 I can barely keep up with Abe, my 5-year-old son, as he springs along the Talking Tree Trail in Holmes Educational State Forest, a 235-acre plot in Henderson County that backs into DuPont State Recreational Forest. 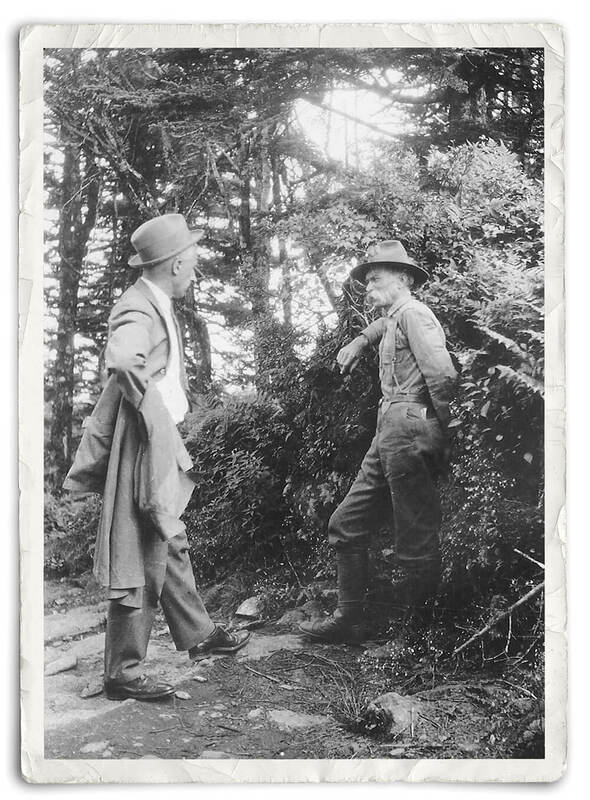 Holmes helped make this land into a nursery for white pine and yellow poplar seedlings, during his tenure as state forester, but today it’s all forest, populated by tall trees and thick rhododendron. Towering above us is a white oak, one among many. We run our hands along this tree before my son takes off again, in search of the next talking tree. This forest is opening up a new world for Abe. “The clearest way into the universe is through a forest wilderness,” wrote John Muir in 1938. This universe bearing John Simcox Holmes’s name, a mere 10 miles from the land where he farmed and grew up, is a testament to his legacy: Reforested piece of land devoted to education. What’s more, the audio boxes along this trail do something John worked his entire career to do: give the trees a voice. John Simcox Holmes couldn’t have imagined that the pocket-size guide he wrote in 1922 to identifying trees would still be in print today. But 20 editions later, and with the addition of illustrations by William C. Grimm, his guide is still an essential companion for a walk in a North Carolina forest. 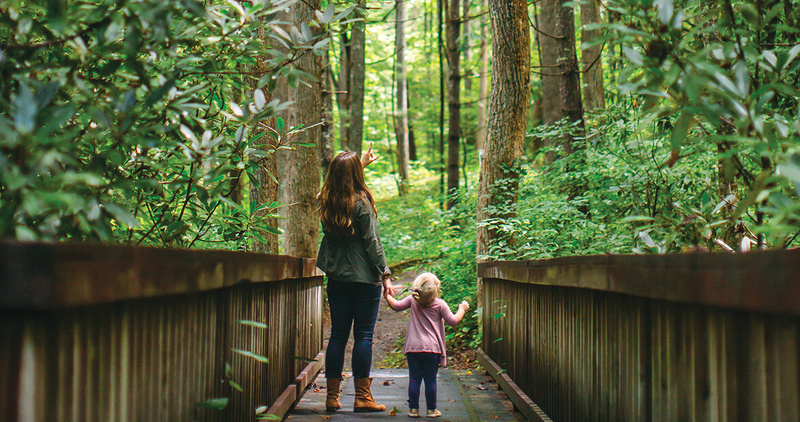 Guides cost $1 and can be ordered from the NC Forest Service by emailing beth.romer@ncagr.gov.